Paul Goodchild is one of Australia’s leading brass players with a major national and international career as a soloist, a chamber musician and orchestral principal player. He began his studies with his father Cliff Goodchild and first performed with the Sydney Symphony Orchestra in 1974, becoming a full-time member at 18. He moved to Europe in 1984 to further his orchestral studies, specialising in music of the Baroque period and received high praise for his solo and chamber music recitals. Paul returned to Australia in 1985 and re-joined the SSO as the Associate Principal Trumpet, a position he still holds. Paul is Musical Director of the Waverley Bondi Beach Band and Artistic Director of Sydney Brass, formed in 1958 by his father. He is passionate about the education of young instrumentalists and works as a mentor with the SSO Educational programs, AYO and SYO, as well as the Emerging Artists Program with Sydney Brass. In addition to his busy performing schedule Paul is highly regarded as a teacher, and has held positions at the Sydney, Newcastle and Wollongong Conservatoriums. In 2014 he was appointed Brass Co-ordinator at The Scots College in Sydney. Many of Australia’s leading composers, including Carl Vine, Ross Edwards, Matthew Hindson and Alan Holley, have written major works especially for him. In 2016 he had a highly successful tour of south-eastern Europe, where he performed recitals to great acclaim and engaged in masterclasses at the major Schools of Music. 2018’s engagements include the newly commissioned Digger’s Requiem in Amiens, France, a concert tour of Croatia, appearing at the International Albanian Brass Festival and a major European tour with the SSO. Christopher Pidcock obtained his Bachelor of Music degree from the Tasmanian Conservatorium, studying cello with Christian Wojtowicz. He completed a Graduate Diploma in Music (Performance) in 2006 under Georg Pederson, and a Master of Music (Performance) in 2010 with Uzi Wiese both at Sydney University. In 2007 a Churchill Fellowship allowed him to travel to Germany to study with Anner Bylsma, Peter Bruns and Gavriel Lipkind. He performed the Elgar Cello Concerto with the Neue Sinfonieorchester Berlin, and gave recitals at the Schumann-Haus, Euro Arts Festival (Leipzig), and the Radolfzell Summer Festival and was a prizewinner at numerous competitions. He has performed concertos with the Christchurch and Adelaide symphony orchestras and the Adelaide Chamber Players. In 2010 he was a String finalist in the ABC Symphony Australia Young Performers Awards. In 2010-2012 he studied with Hans Jørgen Jensen at Northwestern University, Chicago, completing a performance certificate. He was also a member of the Civic Orchestra of Chicago, performing in concerts with Yo-Yo Ma, Riccardo Muti, Esa-Pekka Salonen and Jaap van Zweden. Christopher joined the Sydney Symphony Orchestra in 2012. Stan W. Kornel started his violin studies with Ernest Llewelyn in Canberra. He moved to Europe where he received his Masters Degree at the Academy of Music in Lódz, Poland. During his early studies he won a bronze medal at the Wieniawski International Young Violinist Competition and 2nd place at the Pomerania Violin Competition. Before returning to Australia in 1987, Stan worked at La Scala, Milan, the Verona Amphitheatre summer festival and Teatro La Fenice in Venice. Stan has performed with the Australian Opera & Ballet Orchestra, the Australian Chamber Orchestra, Queensland Symphony Orchestra and for over 25 years, permanently with the Sydney Symphony Orchestra. He has adjudicated at the Singapore Violin Competition and at the Sydney Eisteddfod. Not only is Stan a leading exponent of baroque music but he has been a great supporter of new music premiering many solo works by Australian composers. His baroque ensemble, The Sydney Consort, regularly performs for ABC Classic FM, has released seven CDs and undertaken several European tours. 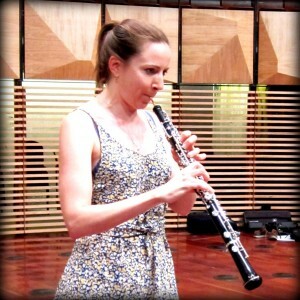 Shefali Pryor holds the position of Associate Principal Oboe with the Sydney Symphony Orchestra. Shefali grew up in Sydney, completing her undergraduate studies at the Sydney Conservatorium of Music.Upon graduating she joined the SSO as second oboe and following on from postgraduate studies at the Üniversität Mozarteum Salzburg she was appointed to Associate Principal in 2006. Shefali won the Other Instrumental category of the Symphony Australia Young Performer Awards in 2006 and has performed as soloist with the Sydney, Melbourne, Tasmanian and Canberra Symphony orchestras.Shefali performs regularly as guest principal with the Australian Chamber Orchestra and has appeared with many of Australia’s state symphony orchestras and chamber groups including the Australia Ensemble and Sydney Soloists. Shefali is the Artistic Director of the SSO’s Vanguard program for young Philanthropists and since 2011 has been on the board of the Australian Youth Orchestra. In her spare time, Shefali is a keen runner, lapsed yogi and enthusiastic baker. 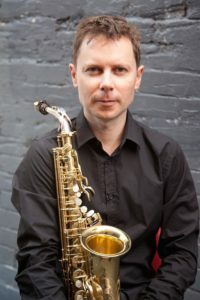 James Nightingale is the alto saxophonist with Australia’s premier saxophone quartet, Continuum Sax and has performed regularly as a casual musician with Sydney’s orchestras since 1993. 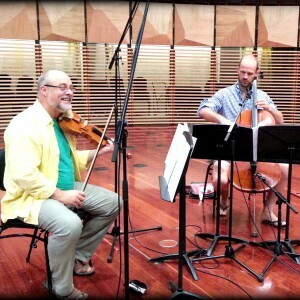 Australian composers Barry Cockcroft, Paul Stanhope and Stuart Greenbaum have dedicated works to him and his playing is featured on many CDs and recordings. James has completed a PhD at the University of Queensland and holds degrees of both Master of Music (performance) and Bachelor of Music from the Sydney Conservatorium of Music. 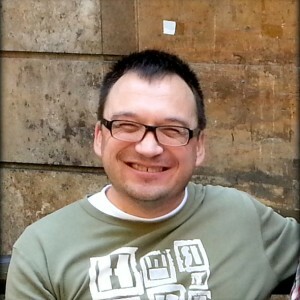 James is a presenter and programmer for Fine Music 102.5 in Sydney. 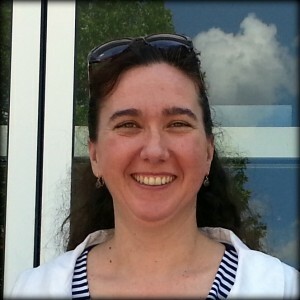 Snježana Pavićević was born in Sisak, Croatia. 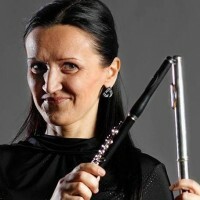 She began her flute studies in Zagreb with Professor Nives A. Jankovic and continued her studies at the Faculty of Music in Belgrade where she graduated and acquired a Master of Music Degree with Professor Miodrag Azanjac . She attended numerous masterclasses for flute and piccolo in Serbia, Hungary and Austria. She was flute/piccolo in the Belgrade National Theatre Orchestra from 1992 to 2002. She was appointed principal piccolo in the Belgrade Philharmonic Orchestra in 2002, a position she holds to this day. Snježana also performs with the Symphony Orchestra of Serbian Radio and Television, Cyprus State Orchestra and the Niš Symphony Orchestra and as a soloist and chamber musician throughout Serbia and its adjoining countries. 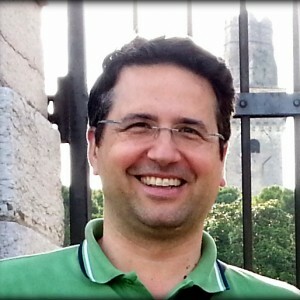 Croatian born Hrvoje Pintarić, is a graduate of the Zagreb Music Academy where he studied with Stjepan Mateić, principal horn of the Zagreb Philharmonic Orchestra. He continued his studies in Prague under the tutelage of Zdeněk Tylšar, the principal horn of the Czech Philharmonic Orchestra. While pursuing his studies he was a member of the Croatian National Army Orchestra and in 1997 was appointed principal horn of the Dubrovnik Symphony Orchestra, a post he occupied till 2004. He toured extensively in Europe with this orchestra and was often featured as soloist. 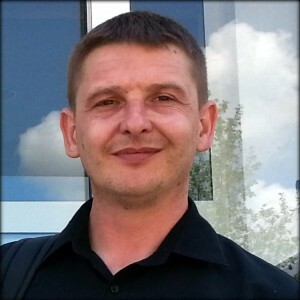 He is a founding member of the well known Croatian brass quintet Simply Brass. He regularly performs concerts as a soloist and chamber musician in Croatia as well as in the United States (most notably Lincoln Center in New York), Spain, Austria, Montenegro and Canada. In 2004 he was appointed associate principal horn with the Croatian National Opera Orchestra. Croatian pianist, Tamara Jurkić Sviben graduated from the Music Academy in Zagreb in 1995 and gained her Masters Degree in Art in 2006. She has performed as a soloist and chamber musician since 1992 in many Croatian festivals and in concerts in France, Denmark, Iceland, Portugal, Greece, Spain, Austria, Albania, Britain, the Netherlands, Germany, Hungary, Ukraine, Bosnia and Herzegovina, Canada, Israel and India. She has recorded three albums for Croatia Records performing works by Croatian and American composers of the first half of the 20th century and has regularly recorded for Croatian Radio. She has worked with Croatian Radiotelevision Symphony Orchestra, the Dubrovnik Symphony Orchestra, Croatian Chamber Orchestra and Orchestra INK Pula. Gregory van der Struik has held the position of Principal Trombone with the Australian Opera and Ballet Orchestra since 1987 and has been active as a soloist and composer in Australia, China and Europe. 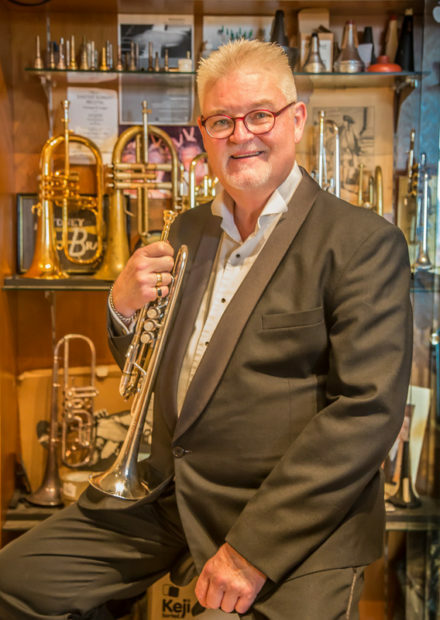 As a soloist, Greg has released and been featured on a number of CDs which emanate from the Trombonis Australis Project, initiated in 1990 to develop and present an Australian contribution to international brass repertoire. He has performed in Australia, Europe and Asia with numerous orchestras and ensembles. Greg has also addressed international conferences in Europe with respect to the development of Australian trombone repertoire. As a teacher he was on the brass faculty at the Sydney Conservatorium from 1993-2004 and has given master classes in Australia and overseas. Kees Boersma enjoys a diverse performing and teaching life in Sydney, Australia. He is principal bassist with the Sydney Symphony Orchestra, with whom he has appeared as soloist on several occasions, most recently in the premiere performances of Mary Finsterer’s concerto Lake Ice. His teaching commitments include the position of lecturer of bass at the Sydney Conservatorium of Music. 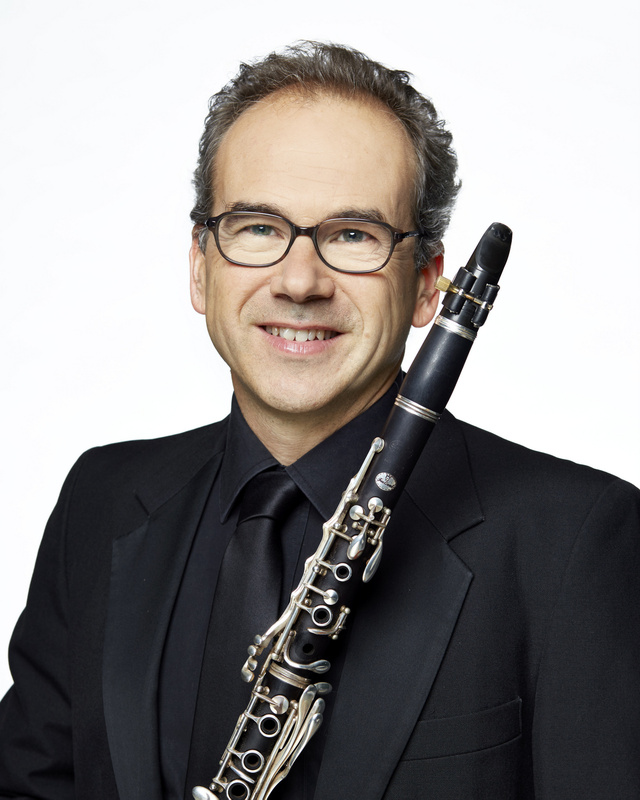 An enthusiastic chamber musician, Kees is a regular performer with the Australia Ensemble, the Sydney Soloists, the Australian Festival of Chamber Music and the bi-annual Musica Viva Chamber Music Festival. He has played with Elision (contemporary music ensemble) and in period style with Pinchgut Opera, The Australian Brandenburg Orchestra and The Orchestra of the Age of Enlightenment (London). Kees studied at the Victorian College of the Arts and Sweelinck Conservatorium in Amsterdam where he subsequently performed for several seasons with the renowned Royal Concertgebouw Orchestra. He has been a regular guest principal bass with the New Zealand and West Australian Symphony Orchestras and the Hong Kong Philharmonic Orchestra. Richard Rourke, after graduating from the Sydney Conservatorium in 1988, spent two years freelancing and undergoing further study in London. Since 1992 he has been a permanent member of the Australian Opera and Ballet Orchestra, performing at the Sydney Opera House with Opera Australia and The Australian Ballet. He has worked under many international conductors such as Richard Bonynge, Simone Young and Richard Hickox and with singers such as Luciano Pavarotti and Brynn Terfel. Richard has recorded and performed widely as a soloist and chamber musician and is a member of the contemporary ensemble The Gallery Players, under the directorship of Sydney composer Alan Holley with whom he has had a close association for more than 25 years. He has also worked with the Sydney Symphony and the Australia Ensemble. In 2010 he played with the Australian Chamber Orchestra on their trans-Atlantic tour, performing at Tanglewood Festival in USA and major European summer festivals. Belgrade born Milos Bjelica has received numerous awards at Serbian and international clarinet competitions. As an orchestral member he has played with Camerata Serbica, Stanislav Binički, The German-Scandinavian Youth Philharmonic and Belgrade Chamber Orchestra. He has performed as a soloist and chamber musician in major venues in Serbia, Austria, Switzerland, Germany, Russia, Italy, Greece, Slovenia, Croatia, Montenegro, Bosnia and Herzegovina and Bulgaria. He was appointed professor of clarinet at the Belgrade music school Vatroslav Lisinski in 2006. 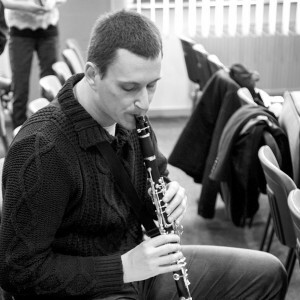 Oboist Ivan Kirn graduated from the Faculty of Music, Belgrade in his native Serbia where he has won numerous prizes at competitions and festivals. As a soloist, chamber and orchestral musician, he has performed in Croatia, Slovenia, Macedonia, Italy, Austria and Greece. In 2013 he was a featured soloist at the Velika Goricka Brass Festival in Croatia. He is professor of oboe at the Music School Kosta Manojlovic in Belgrade-Zemun.